Wes & Dom, have been DJ'ing weddings since 2013. However, their musical experience goes much further back than that, with both of them either DJing, producing, playing in bands, or recording in the studio since they were in high school. 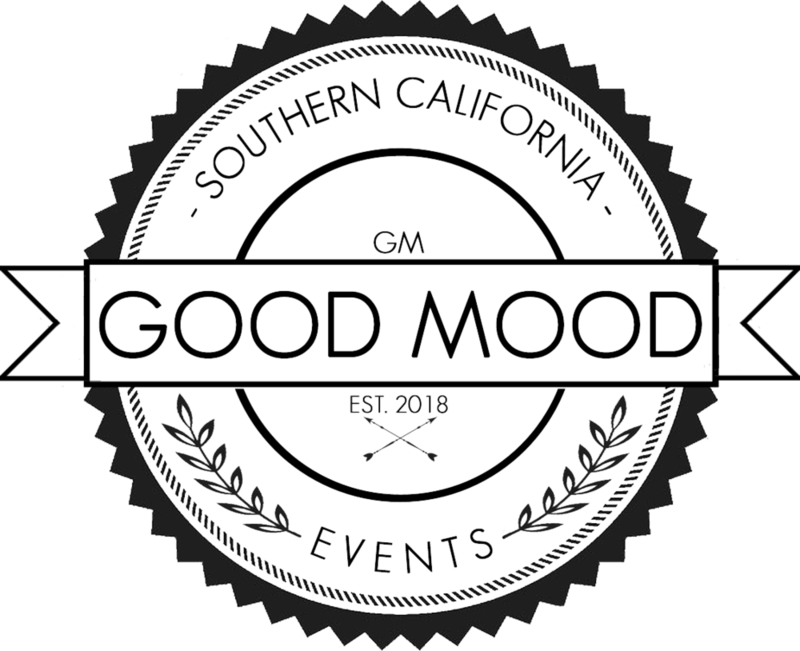 After spending the last half-decade in the wedding and private event world, they decided to launch GoodMood. We can provide the soundtrack for anything from corporate events to branded launch parties. We’ve provided services for charity events, engagement parties, private gatherings, galas, weddings, anniversaries, or anything else that requires music for the occasion. DO YOU TRAVEL FOR WEDDINGS & EVENTS? Of course. Actually we jump at the chance to travel! Currently we’re based in Echo Park (LA), but we sound events and gatherings throughout California and beyond. Typical fees include transportation costs for DJ, equipment sourcing, two-night hotel stay, and car rental for two days. DO YOU DJ MORE THAN ONE EVENT A DAY? Short answer - No. We dedicate 100% of our efforts to our clients and their events, and realistically there just isn't enough time in the day for it! From the moment we wake and start getting ready, to the last song of the night, most of our day is devoted to you and your event - especially if it's something as important as your wedding day. There are two DJs at GoodMood, and it's not uncommon for both of us to be at separate events on the same day. WHAT IS YOUR DJ STYLE LIKE? Our style is 'open format', which means we specialize in mixing a variety of genres and styles. We are not pigeon-holed or tied to a particular style or genre of music. We are experts at reading a floor, seeing what your guests are responding to, and adapting to the moment. This makes us perfect for weddings, social gatherings, or corporate parties where there is usually a large number of guests with a wide range of musical tastes. That being said, if you want us more laser focused around your favorite genres of music, that's certainly something we can do! WHAT DOES THE PROCESS OF SELECTING THE MUSIC LOOK LIKE? Our goal, first and foremost, is taking care of our clients. We aim to make your event something that guests will always remember while making sure it sounds and feels just the way you want it to. The process begins with a conversation about you, your favorite music, and your vision for the event. From there we collaborate with you on the soundtrack, and hand curate playlists that fit each part of your big day. The level of musical input is totally up to you. From a handful of songs and artists, to a fully formed 2 hour playlist, you can provide us with whatever you'd like. Every client is different, and so is their involvement. We are experts at picking up where you've left off. Visit our How it Works page for more. DO YOU PROVIDE ALL OF THE SOUND EQUIPMENT NEEDED FOR MY EVENT? Yes, we provide all the gear necessary to sound your big day. Whether your party has a single reception space or sound in multiple areas, we provide all the speakers, microphones, and music necessary. Absolutely! Meeting in person is a great way for us to vibe and get a feel for each other. That being said, our initial meetings are often held via phone or Skype to make sure we are a good fit prior to an in-person meeting. All equipment rental, set-up time, tax, insurance, and planning appointments between now and your event date are included in our quote. Meaning, there are no hidden fees. Additional costs may apply for travel outside of Los Angeles county, rental of extra equipment, and additional hours if you'd like to kee the dance party going! Basically, your rate for the day will be built into your customized quote - no extra charges. Payments are made in two parts. Your first payment is a deposit, which is half of your total balance, and is due at the time of your contract signing. The remainder of your balance is due one month prior to your event date. At that time, you will be contacted by our team to secure the rest of your payment. We accept credit cards and check. Sorry, we do not offer cash discounts. IS IT JUST YOU OR DO YOU HAVE A TEAM ON THE DAY-OF? Occasionally we will bring on an assistant with us for the day, if the event is big enough. However, most of the time we tackle an occasion single-handedly. From equipment set-up, to hosting and performing, to break-down, we do it all. Absolutely! We are fully licensed and insured. If your venue is in need of a COI or “Additionally Insured” please just let us know. I'M READY TO PARTY! HOW DO WE MAKE THIS HAPPEN?! Visit our Contact page and tell us about your event! We will respond to you within 48 hours with additional information about our company and availability. From there, we can set up a preliminary phone-call to see if we would be a good fit! During our call we will walk you through the process of selecting the music for your day as well as provide you with a customized quote for your event.